Blog Quick Quotes: Off the Page with Erika! Off the Page with Erika! Erika Taylor here as your featured guest artist hosting the blog today! I have an off-the-page project to share with you featuring the Chipboard Die Cuts! When I received the amazing Tin Type collection from Quick Quotes, my jaw dropped. 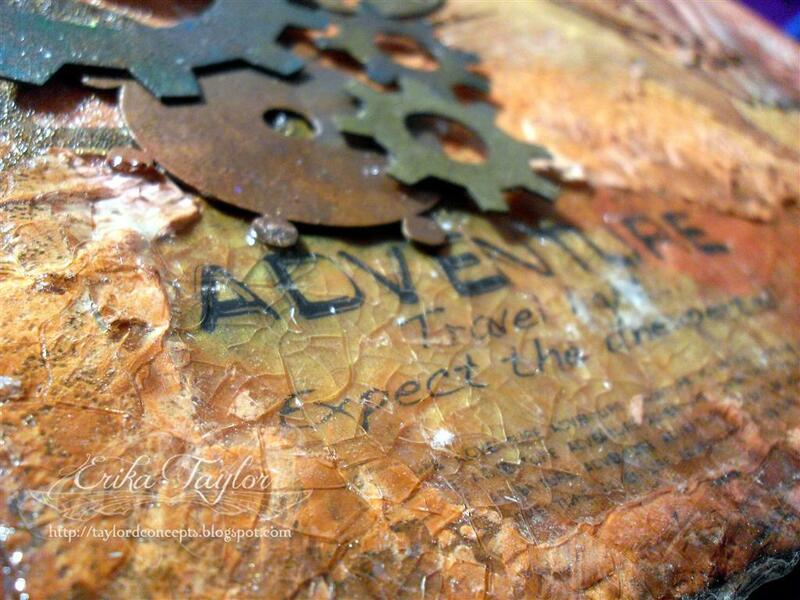 A collection that is the perfect match for me especially when I create mixed media canvas. For this canvas, I wanted to create a Steampunk piece that really evoked the thoughts of aged gears with a softness in one element (the butterfly). The entire canvas has been dyed using the Powder Puff Chalk Inks from Quick Quotes. I used Amaretto, Bloody Mary, Maraschino Cherry, Mango Mai Tai, Mocha Mama, Biscotti and Baja Blue. The colors are perfect for that typical Steampunk color palette. I used a combination of Molding Paste, Glass Bead Medium, Helmar Crackle Medium and Clear Gel to create dimension and layers on the 10 x 10 stretched canvas. 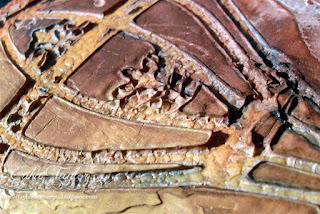 The Balloon from the Balloon 8 x 10 chipboard pack was used to create the image on the right of the canvas using molding paste. On the left side of the canvas, I first started with fussy cutting the gears from the Tin Type 300 paper and applying them directly to the canvas with Helmar adhesive. I also used the gears from the Balloon 8 x 10 chipboard pack and the Bag o Chips Gears. 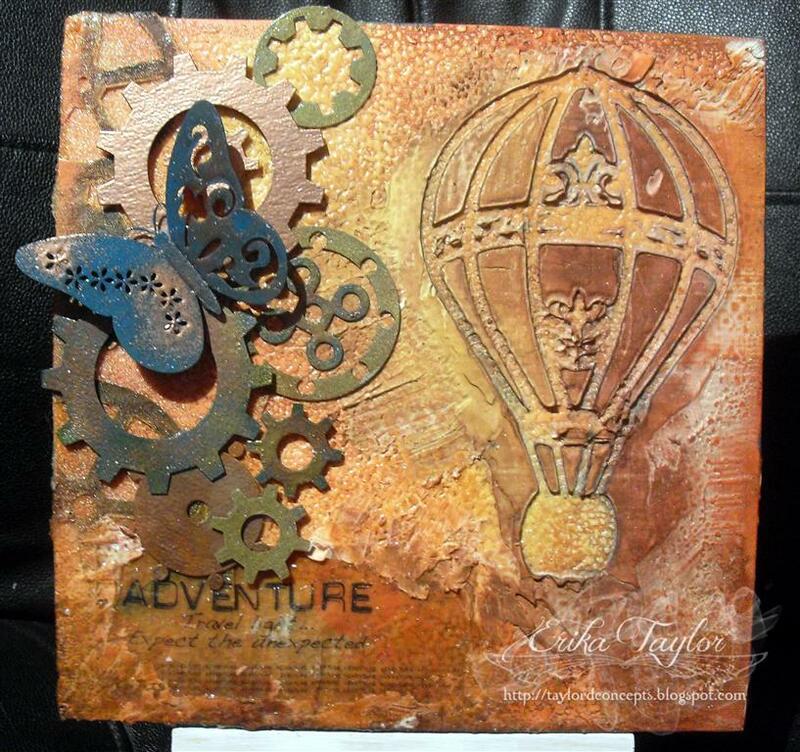 Each of the gears was inked with Powder Puff inks then covered in Wow Embossing powders. Once they were all layered, I finished the piece with a beautiful butterfly from the Butterfly Bag o Chips. 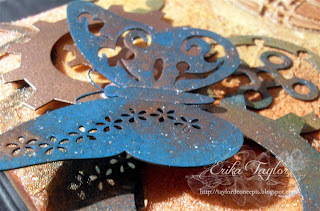 This butterfly was completely inked in Baja Blue then I added a little copper Wow embossing powder to give it a patina look. 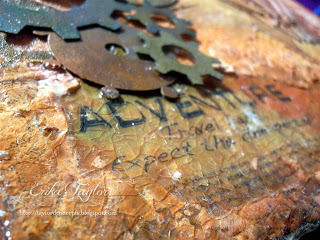 Lastly I used the Adventure Color Vellum Quote and embedded it into the canvas with molding paste. Then a layer of Helmar Crackle Medium and the canvas is complete. I absolutely adore these new Tin Type products from Quick Quotes. The options for creating with them are endless and I hope that I've given you a little inspiration on how to use them in mixed media projects. What a fantastic mixed media project Erika! Thank you so much for inspiring us with your amazing canvas today!!! WOW! Absolutely gorgeous!!! 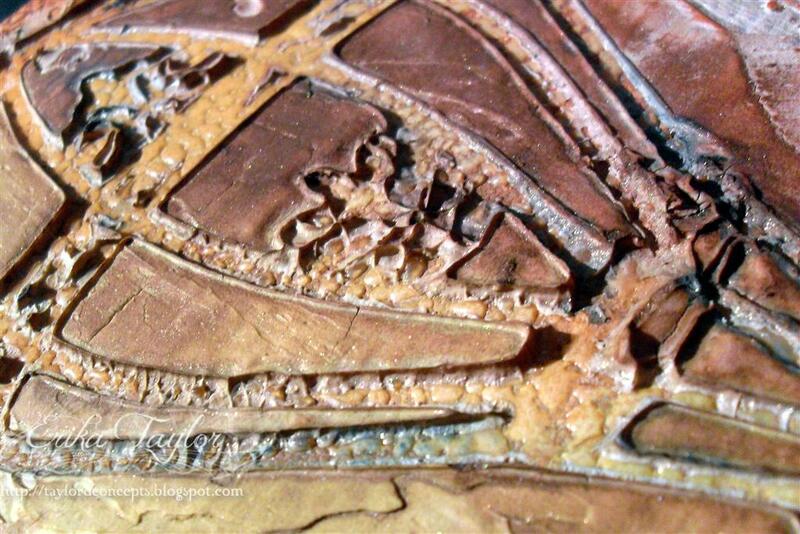 I love how you used molding paste to add dimension. Congrats on your Guest Design spot. So cool! I just adore your work! Thanks for sharing this. So wonderful! Congrats on the Guest spot - well deserved! GOrgeous Erika!! LOVE this canvas. The colors are so perfect for the Steampunk look! Just so cool! I really LOVE this piece, Erika! Nice work!